Bolivia offers students a number of enticing fields for research. Three indigenous American languages (Quechua, Aymara, and Guarani) are spoken there, and the country is rich in archaeological sites like Tiwanaku and Iskanwaya. 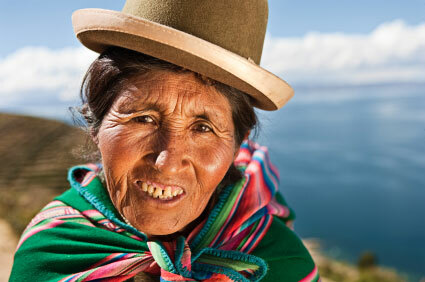 Located in the center of South America, Bolivia’s neighbors include Peru, Chile, and Brazil. Bolivia is an excellent location for political and social studies, since it is one of the least developed South American nations and many of its people are subsistence farmers. Bolivia’s position in the Andes range offers mountaineering adventures, and between the peoples of the mountains and those of the river basins there is a wide range of indigenous cultures to study. Students traveling to Bolivia frequently pursue studies in language or humanitarian issues. The Benjamin A. Gilman International Scholarship Program is one part of the federal government’s push to diversify the next generation of global leaders. Underrepresented student populations, including those who require financial assistance and those attending community college or two-year institutions, now have the opportunity to study abroad thanks to the Gilman Scholarships. Eligible applicants must already be Pell Grant recipients (Pell Grants are based partly on financial need), and applications must be certified by both a Study Abroad Advisor and a Financial Aid Advisor. Preference is also given to students of diverse ethnic backgrounds, disabled students, and those in science and engineering courses. Awards of up to $5,000 go to over 2,300 candidates each year, and you can obtain an extra $3,000 if you are studying a critical need language. Sigma Delta Pi, a national Hispanic honor society for college students, sponsors $2,500 stipends for students planning to study in a Spanish-speaking country You may choose your own study-abroad course, but it must be accepted by your particular chapter of Sigma Delta Pi. The top applicant for the stipend will also receive the supplemental Richard E. Chandler Scholarship. Eligible candidates must be at least juniors nominated by the chapter’s adviser, majors or minors in Spanish, and possess excellent academic records. The School for International Training’s SIT Study Abroad program offers numerous scholarships to assist students who are interested in international studies. It also offers a course called “Bolivia: Multiculturalism, Globalization, and Social Change” about the fascinating interaction between traditional Bolivia and the stresses of its movement toward modern statehood. Bolivia’s varied topography gave rise to unique cultures that have persisted into the 21st century, and lecturers in the course represent many Bolivian cultural and political institutions. The amounts of most SIT scholarships and grants are between $500 and $5,000. The Lewy Family Global Health Scholars Fund award goes to women who will be working on health-related research in a financially deprived area. The Rotary scholarships send undergraduates and graduate students abroad as representatives of America charged with strengthening our nation’s relationships with other countries. The last year in which Ambassadorial Scholarships will be awarded is 2012, but the Rotary Foundation will continue to provide the same type of financial aid through district grants and global grants. Upon completion of their program, recipients of Rotary scholarships must make a presentation on their Bolivian experience to a Rotary audience. Temple University has devoted an entire page to study-abroad scholarships. The Vira I. Heinz Program encourages women enrolled at Temple to study abroad with a view to broadening their intercultural perspectives and developing leadership skills. 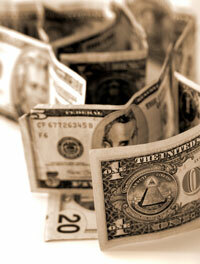 The scholarship pays at least $5,000 toward pursuing an international project selected by the applicant. The creatively named Don Quijote Scholarship from the University of Richmond goes to a URI student with a GPA of at least a 3.0, and a GPA of 3.5 in Spanish courses. The monetary value of the Don Quijote is $3,000, and the study-abroad program supported must be approved by the Office of International Education. If you study at some other accredited university, you can apply for one of the scholarships given out by the Foundation for Global Scholars. One example is the STA Travel Scholar Award in the amount of of $2,500, which comes with a blogging requirement.